Who here is guilty of putting on a whole face of no-makeup-makeup before the new beau wakes up? Guess what, if you’re making the mistakes listed below he probably suspects somethings up. After all nobody just ‘wakes up like this’, unless you listen to us! 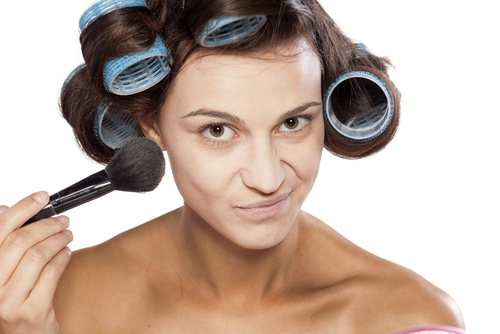 Here are some no makeup look mistakes you need to steer clear of! A little flush is great, but sometimes blush can come on too strong. Make sure you dust off any excess pigment from your brush before applying. Aim for a little dab on the cheeks and then stop, resist the urge of ‘just a bit more’. Alternatively, use a creme blush or let your lipstick double up as your blush for the perfect dewy flush. Ever start off with wanting a little eyeliner and then 10 mins later you’ve got a full-on cat eye, yep we’ve been there too. Instead of using a bold kohl or gel eyeliner, opt for a little dark brown eye shadow to give the top lid a little definition. A soft eye-shadow line on the top and outer corner of the eye will give you more of that natural look you desire. Using dark lip liners, or over lining like Kylie Jenner is a sure shot way to get called out on wearing too much makeup. For the ideal no-makeup makeup look, a little lip balm or lip tint is all you need for a little moisture surge.. There are many different types of faux lashes out there, but even the most natural looking of the bunch still looks like you’re trying too hard. Stay away from the falsies; and if you really have to, get the individual clumps, that you can just use as a filler rather than a whole row of lashes. A little bronzer is essential to get that sun-kissed look, but just like everything, it’s easy to overdo it. Stick to the basic areas on the face like the cheekbones and forehead. Also, using a wider brush ensures a diffused look that will give you a hint of colour without looking like you’ve hit the tanning salon. We firmly believe that mascara is a must and it really does widen the appearance of your eyes. However, just one coat is more than enough, it is easy for mascara to get lumpy and clumpy, so avoid multiple layers. A little mascara on your top lashes will give you a natural look and enough drama. 7. Don’t Highlight like a Pro! Just like bronzer - too much highlighter is a no-no. In fact, we’d skip this all together. Highlighter is great when you want a high-shine dewy look, but unless you’re really sweaty, your face doesn’t usually glow. So for a natural look avoid the highlighter. Maybe take a quick lap around the building for that natural “glow” – just kidding. While we’re all fans of sharp features, if you’re going to contour your face to the point that you look unrecognizable, then maybe it’s time to re-think. A little contour around the cheeks is fine but stop there - let your natural features stand out and be proud of your big or small nose! When we think of natural looking make-up, flawless and healthy looking skin is key which means finding the right shade. Too many times our faces look far whiter than our bodies and nobody wants to look like a clown. 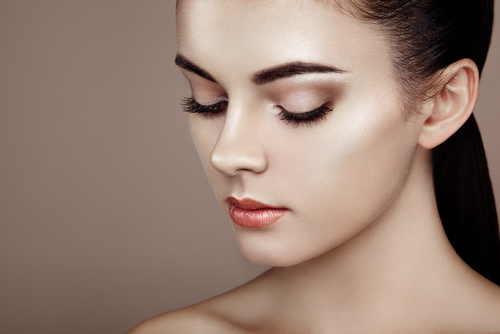 Find concealers, foundations and powders that blend seamlessly and match your skin tone. 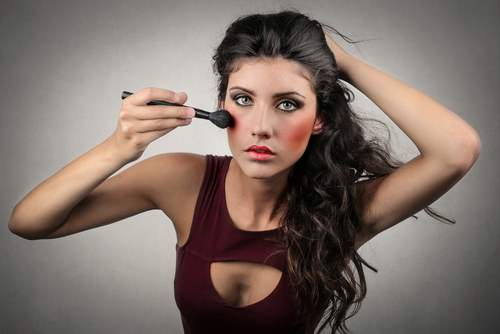 If you’re going all out for a party look, then by all means apply different shades of foundation, blusher and eyeshadow. However for the no-makeup look, less is more. It’s about highlighting your natural beauty with as few products as possible for a really fresh faced look. Find a few products that don’t require too much technique but still gives you the look you want to achieve. Keep it simple!